My DEAR SOUTHEY, —The awful event of yester-afternoon has forced me to defer my Lectures to Tuesday, the 19th, by advice of all my patrons. The same thought struck us all at the same moment, so that our letters might be said to meet each other. I write now to urge you, if it be in your power, to give one day or two of your time to write something in your impressive way on that theme which no one I meet seems to feel as they ought to do, — which, I find scarcely any but ourselves estimate according to its true gigantic magnitude — I mean the sinking down of Jacobinism below the middle and tolerably educated classes into the readers and all-swallowing auditors in tap-rooms, etc. ; and the [political sentiments in the] "Statesman," " Examiner," etc. I have ascertained that throughout the great manufacturing counties, Whitbread's, Burdett's,and Waithman's speeches and the leading articles of the" Statesman " and " Examiner " are printed in ballad[shape] and sold at a halfpenny or a penny each. I was turned numb, and then sick, and then into a convulsive state of weeping on the first tidings — just as if Perceval had been my near and personal friend. But good God! the atrocious sentiments universal among the populace, and even the lower order of householders. On my return from the "Courier," where I had been to offer my services if I could do anything for them on this occasion, I was faint from the heat and much walking, and took that opportunity of going into the tap-room of a large public house frequented about one o'clock by the lower orders. It was really shocking, nothing but exultation! Burdett's health drank width a clatter of pots and a sentiment given to at least fifty men and women —" May Burdett soon be the man to have sway over us !" These were the very words. " This is but the beginning." "More of these damned scoundrels must go the same way, and then poor people may live." "Every man might maintain his family decent and comfortable, if the money were not picked out of our pockets by these damned placemen." " God is above the devil, / say,and down to Hell with him and all his brood, the Ministers, men of Parliament fellows." "They won't hear Burdett; no 1 he is a Christian man and speaks for the poor," etc., etc. I do not think I have altered a word. My love to Sara, and I have received everything right.The plate will go as desired, and among it a present to Sariola and Edith from good old Mr. Brent, who had great delight in hearing them talked of. It was wholly the old gentleman's own thought. Bless them both ! 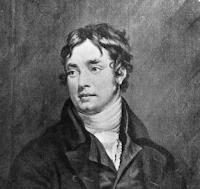 The affair between Wordsworth and me seems settled, much against my first expectation from the message I received from him and his refusal to open a letter from me. I have not yet seen him, but an explanation has taken place. I sent by Robinson an attested, avowed statement of what Mr. and Mrs. Montagu told me, and Wordsworth has sent me an unequivocal denial of the whole in spirit and of the most offensive passages in letter as well as spirit, and I instantly informed him that were ten thousand Montagus to swear against it, I should take his word, not ostensibly only, but with inward faith! To-morrow I will write out the passage from "Apuleius," and send the letter to Rickman. It is seldom that want of leisure can be fairly stated as an excuse for not writing ; but really for the last ten days I can honestly do it, if you will but allow a due portion to agitated feelings. The subscription is languid indeed compared with the expectations.Sir T. Bernard almost pledged himself for my success. However, he has done his best, and so has Lady Beaumont, who herself procured me near thirty names. I should have done better by myself for the present, but in the future perhaps it will be better as it is. ...I should perhaps have told you all this sooner, but my mind has been oppressed by Perceval's death, and the dreadful state of the mob which it has disclosed; you know I am no anguish politician, but I fear the happiest days of England are over. The abuse of liberty has uniformly been punished with the loss of liberty. Now the crime has been committed, and if we escape the penalty, it will be contrary to the whole experience of history. In the rejoicings at Nottingham and in Cornwall, and in the attempt to rescue Bellingham, we see the effect which Cobbett, and Hunt, and Burdett, and the Common Council, &c.. have produced upon the feelings of the English mob. The speeches of the Burdettites, and the leading paragraphs of the demagogue newspapers are printed like dying speeches, and sold in the manufacturing districts. Every pot-house also is supplied with the Sunday papers,—doses of weekly poison; one reader serves for a tap-room full of open-mouthed listeners, and the consequence is, that at this moment the army is the single plank between us and destruction. We are on the brink of the most dreadful of all imaginable evils, — a war of the poor against the rich, of brute ignorance against everything above its own degraded level. How long the army may be depended upon, is a question which the Royal Dukes and the floggers may tremble to ask themselves. Hemes has at this time a letter of mine in his hands, urging the necessity of winning the hearts of the soldiers, and recommending honorary distinction as one means, and, as another, that a certain number of the oldest soldiers in every company employed in storming Cuidad Rodrigo and Badajoz should have their discharge upon full pay, or an increase if they choose to continue in the service. I learn that my letter made an impression upon poor Perceval's secretary, to whom it was shown, and Hemes has taken it in the hope that it may do its work in higher quarters. But this is a distant good; alteratives are poor things to trust to in diseases which require the knife and the cautery. This I feel assured of, that unless the licentiousness of the press is stopped there will soon be an end of its liberty. Were I in the House of Commons I would clear the gallery whenever Burdett rose; if his speeches were published I would punish the publication as a breach of privilege, and if he spoke elsewhere I would teach him that this privilege of exciting rebellion was confined to the walls of St. Stephens. It is absurd to talk of his virtues or of his motives now. By the fruit we must judge of the tree; and the mob who attempted to rescue an assassin, when all that was known at that moment was that he had committed a most atrocious assassination, cried "Burdett for ever!" As for Bellingham, I do not class him with those wretches who applauded him: the man had that in him which would have been greatness if he had not been insane. It was an insanity, however, which ought not to have exempted him from punishment. In the manufacturing districts there is clearly a system as well laid as that of the United Irish, and carried on more dangerously, because it is carried on by Englishmen. Ryder is in infirm health, a nervous man, and very unfit for his office in such times. I am told that the shock of Perceval's death will be fatal to him; — poor Perceval breathed his last upon the green table in Packman's House of Commons room! But to return to the Luddites. The danger is of the most imminent kind. I would hang about a score in a county, and send off ship loads to Botany Bay; and if there were no other means of checking the treasonable practices which are carried on in the Sunday newspapers, I would suspend the Habeas Corpus. Shut up these bellows-blowers, and the fire may, perhaps, go out. Here another danger stares us in the face. Perceval might have been trusted with that dictatorial power which is necessary to save the commonwealth; he held his power as much by his virtues as his ability. Alas! he has left no successor. Lord Liverpool wants his reputation; Lord Sidmouth and Vansittart (all good men) want his talents. * * * is a vicious man, and a tyrant at heart. My fears are, that let what will happen, the liberties of England are in greater peril than they have ever been before; and that the alternative is, whether we shall have a despotism before a civil war, or after it. The proudest days of England are to come, but her happiest days, in my inmost heart I fear, are over. Even if this thunder-storm should pass away, with an atmosphere charged like that of Padalon itself, I do not see how it can pass without an explosion. Still I see great good in store. We shall have a glorious and triumphant war. But * * * will not hesitate at national bankruptcy, and Catholic concession will draw on the sale of tithes; that is, in other words, the plunder of Church property, to relieve the necessities of the State. A revolution in the religion of a country produces more evil than a century is sufficient to allay. The sale of the tithes leads immediately to putting up the Establishment for the lowest bidder, — a measure of course, when it is to be paid by the Government. The Methodists then come in, and the reign of the saints led to the reign of the sinners in days when there was more virtue and more wisdom in England than can be found among us now. What is the end of all this? The best I can hope for myself is, that Portugal may be a freer country when I shall find it necessary to shake off the dust of my own.